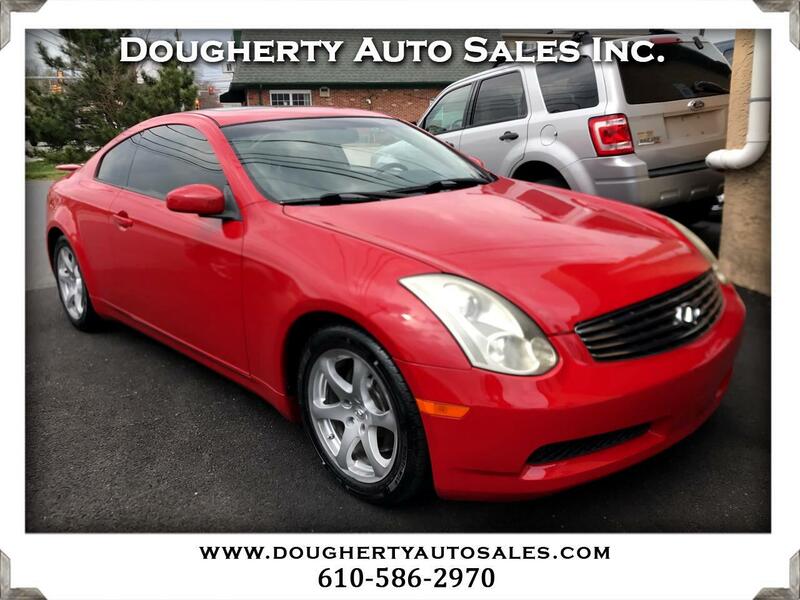 Used 2006 Infiniti G35 Coupe 2dr Cpe Auto for Sale in Folsom PA 19033 Dougherty Auto Sales Inc. Looking for a particular vehicle not listed? You can see our full inventory at www.DoughertyAutoSales.com or call us toll free at 1-866-687-3688. Most vehicles come with a 3 Month Warranty as well as current Pa State Inspection, ask sales person for more details. Extended Warranties are also available. Taxes and tags not included in sale price. Message: Thought you might be interested in this 2006 Infiniti G35 Coupe.